Manufacturer of a wide range of products which include bag shifting conveyor, bag storage conveyor and bag transfer conveyor. 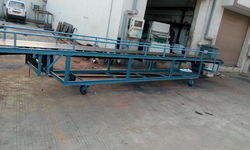 G.S Conveyors is a market leader in manufacturing and exporting vehicle loading /Unloading mobile conveyors units for all applications ranging from Boxes, Cartons, Bags etc in warehouses, bottling plants, distilleries, etc., and any places where material needs to be moved rapidly and efficiently. Bag Storage Conveyor manufactured by us is reckoned in the market for its capacity of handling higher tonnage over long distance at a low cost. Owing to their ability to handle a wide variety of material economically, these equipments are widely used for small and big capacities. In addition to transporting bulk materials, these products are used for weighing, blending, sampling and stockpiling. 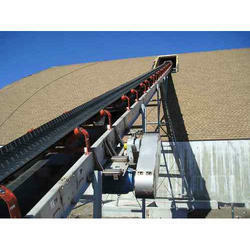 Looking for Bag Handling Conveyor ?